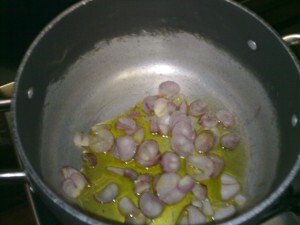 Put to fry the chopped scallion in two spoons of extra virgin olive oil. Add them to the fry-pan. 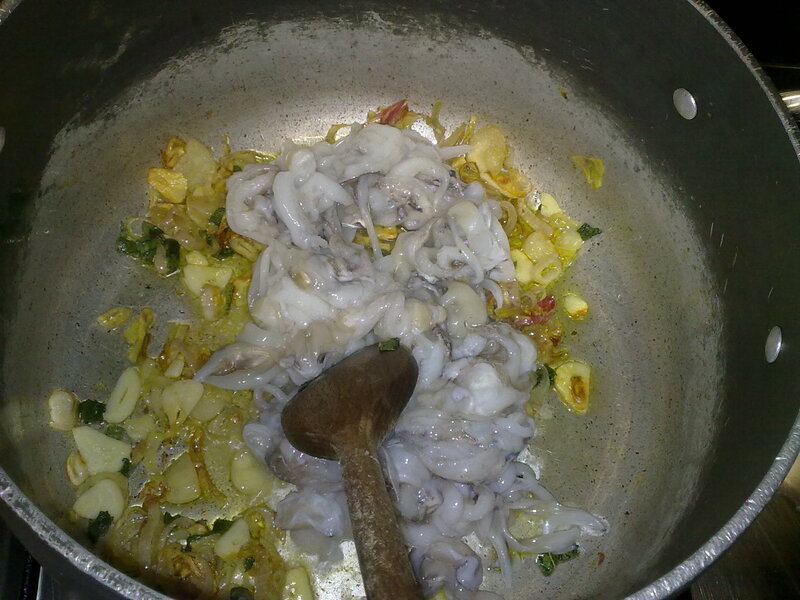 Cook slowly until they fade. 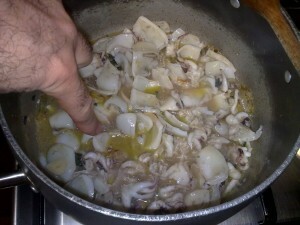 Add the legs of cuttlefish. 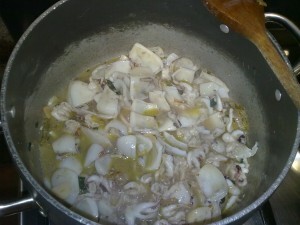 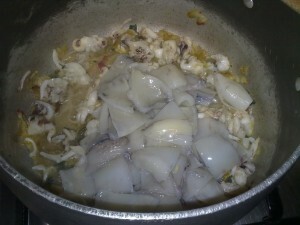 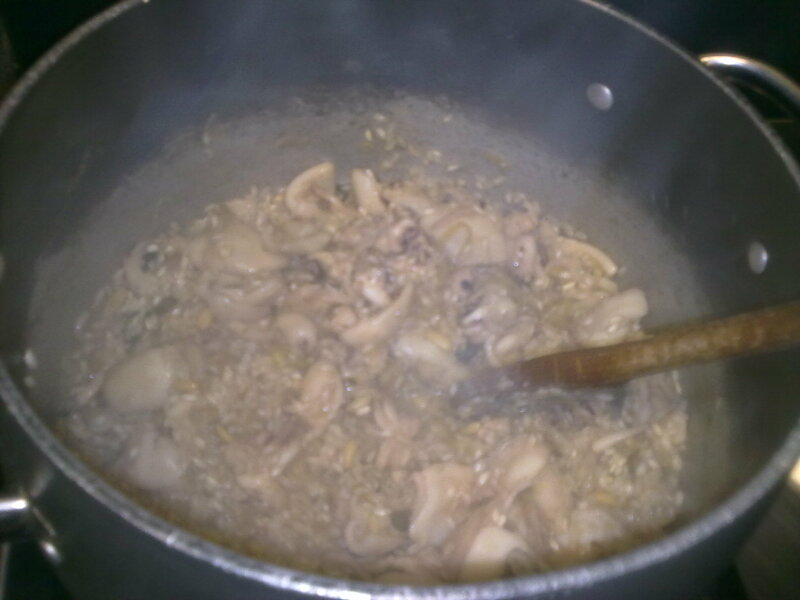 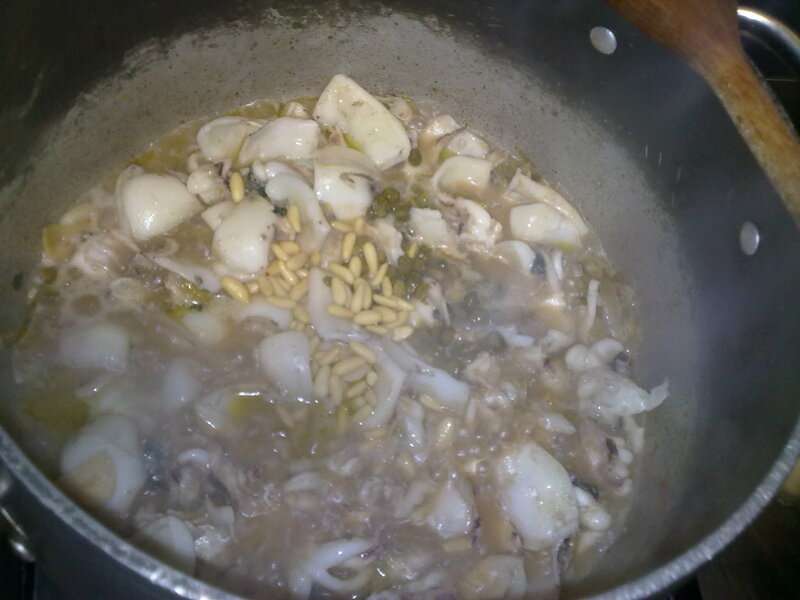 Cook three-four minutes, then add the cuttlefish heads. From the cuttlefish you will obtain a tasty juice. It is time to add the capers and the pine-cones. 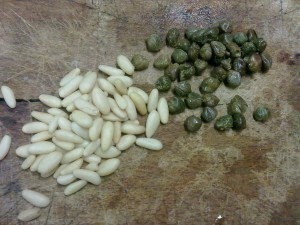 Usually I chop the capers, leaving whole the pine-cones. 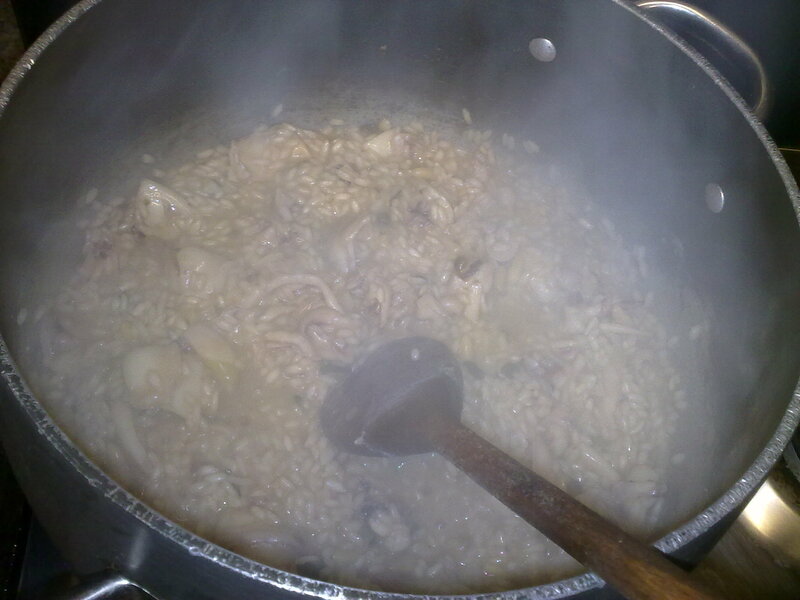 Drop the rice, cook (always stirring) for twenty minutes. 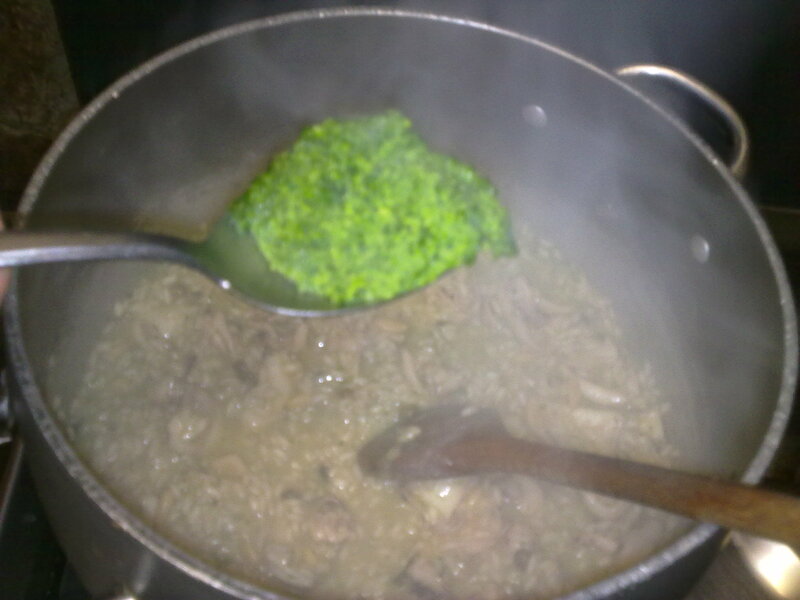 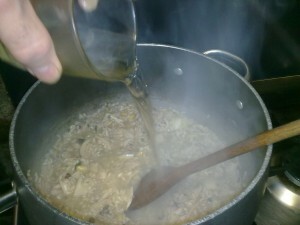 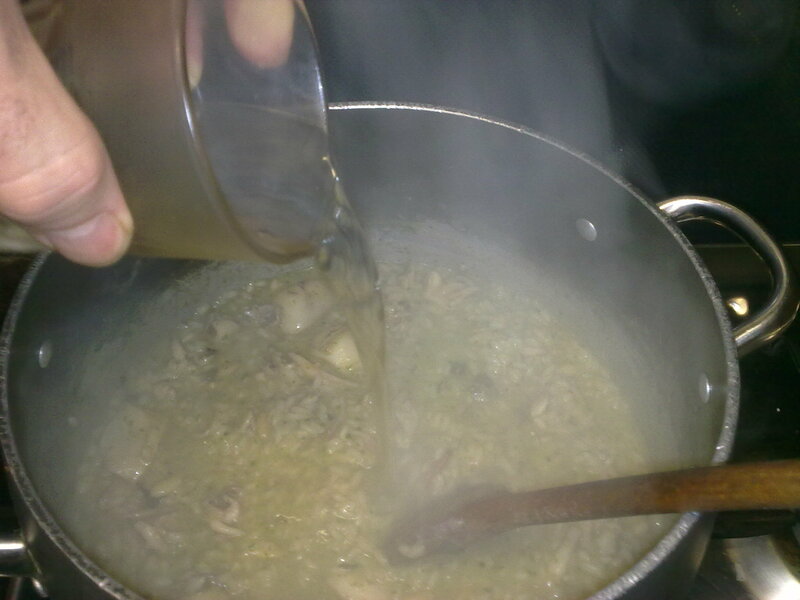 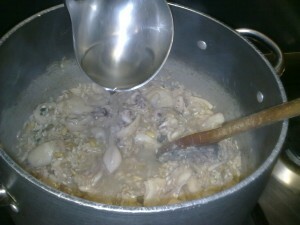 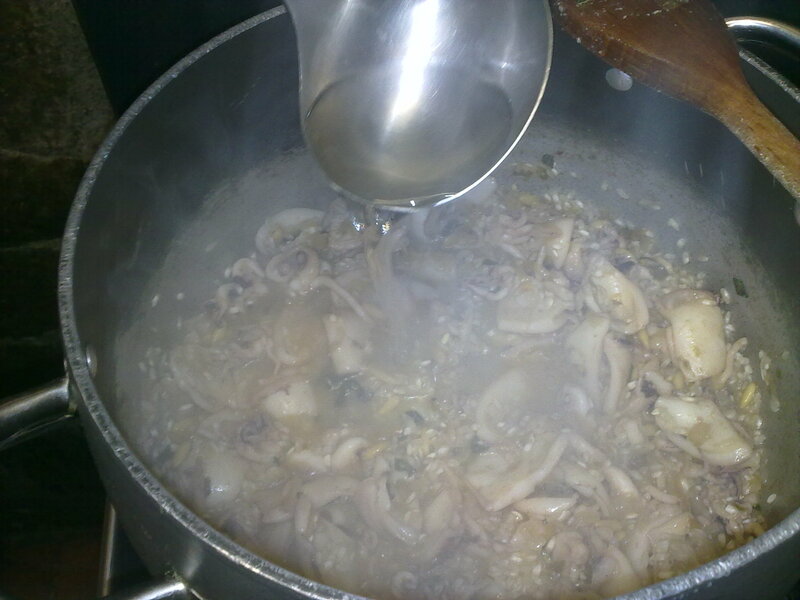 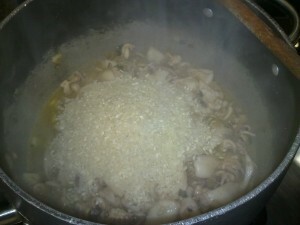 During this time add the broth when the rice need it. 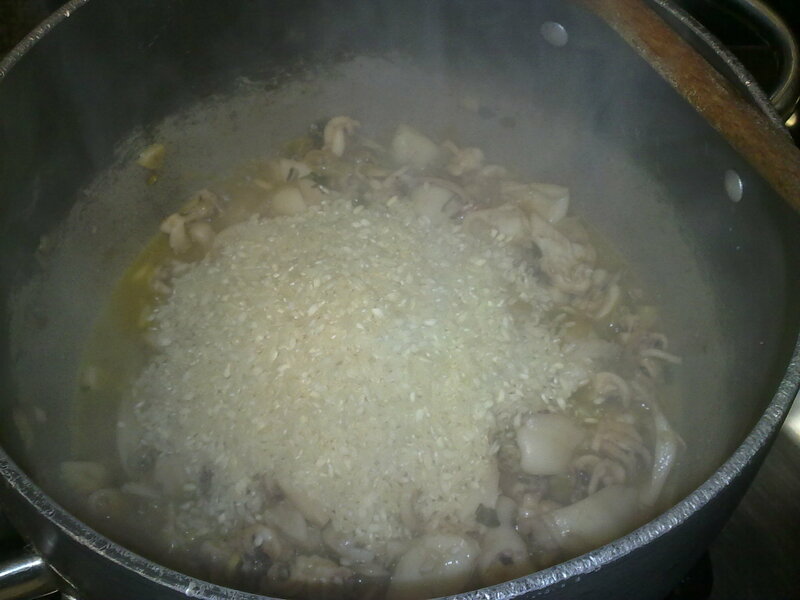 Continue to add the broth any time the rice needs. Remember to stir until the risotto is cooked. 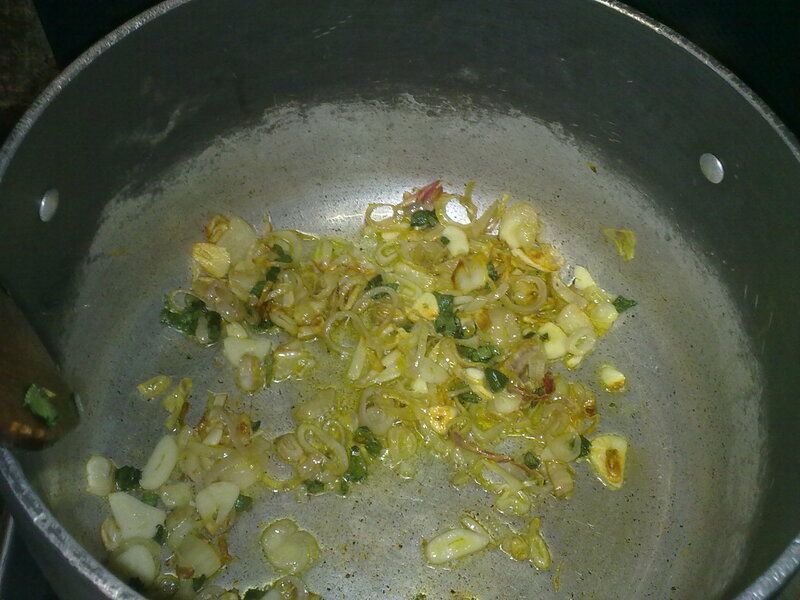 While stirring mix well everything. 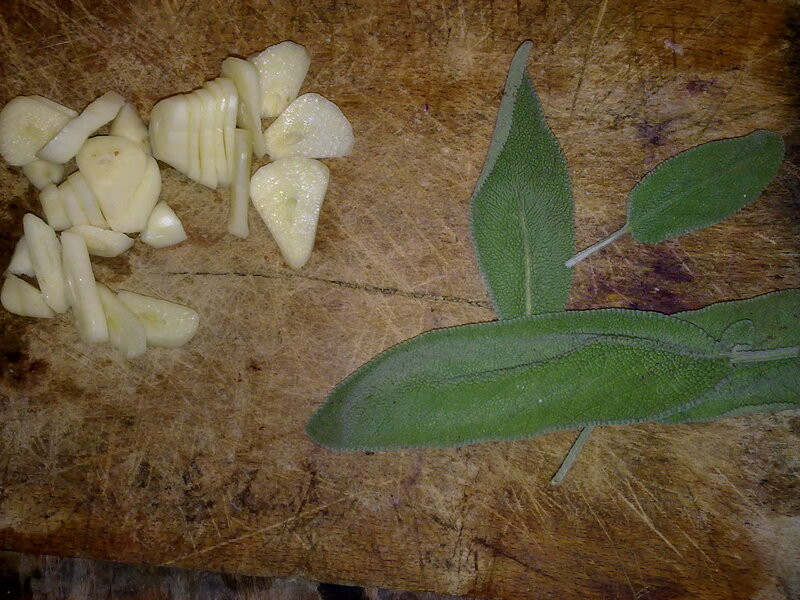 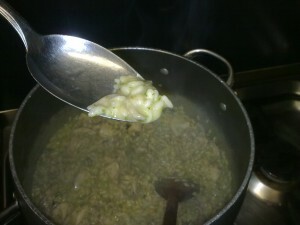 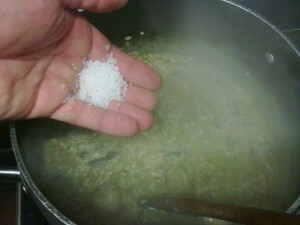 After twenty minutes from the start, check for the salinity and the rice, then add half glass of white wine. 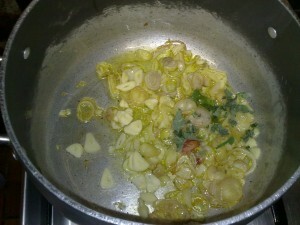 Cook two minutes, then add one-two spoons of parsley and garlic (chopped small). 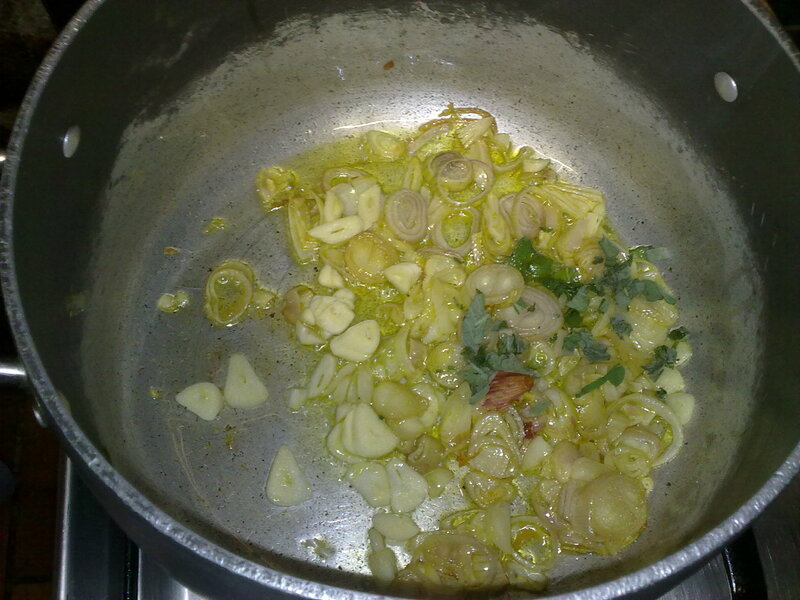 Do the last check, add salt only if needed. Just two-three minutes before the rice becomes cooked aldente, add another half glass of white wine. 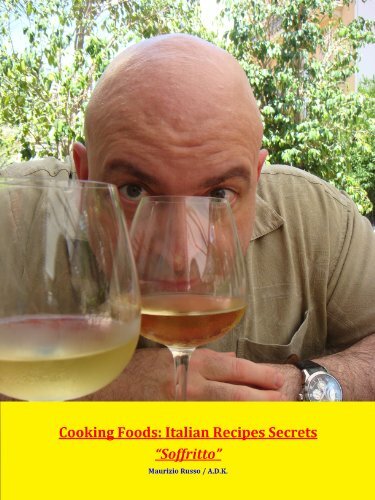 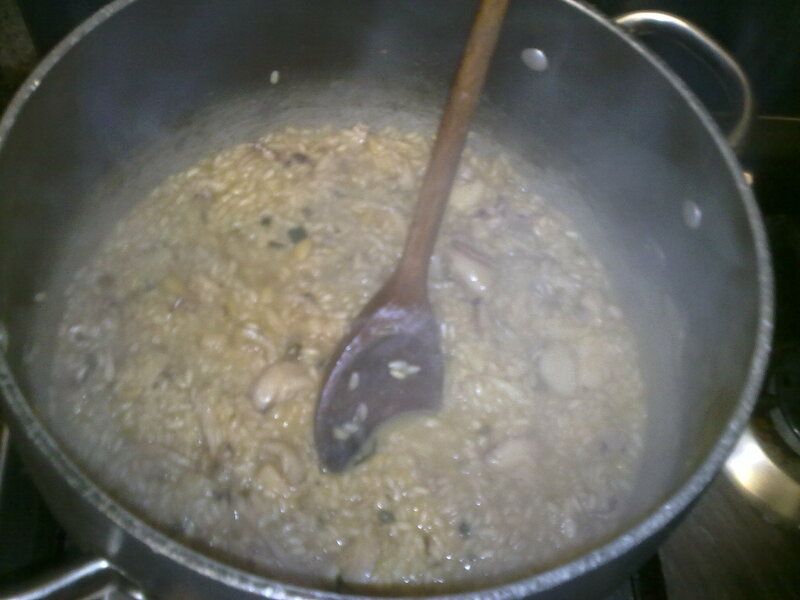 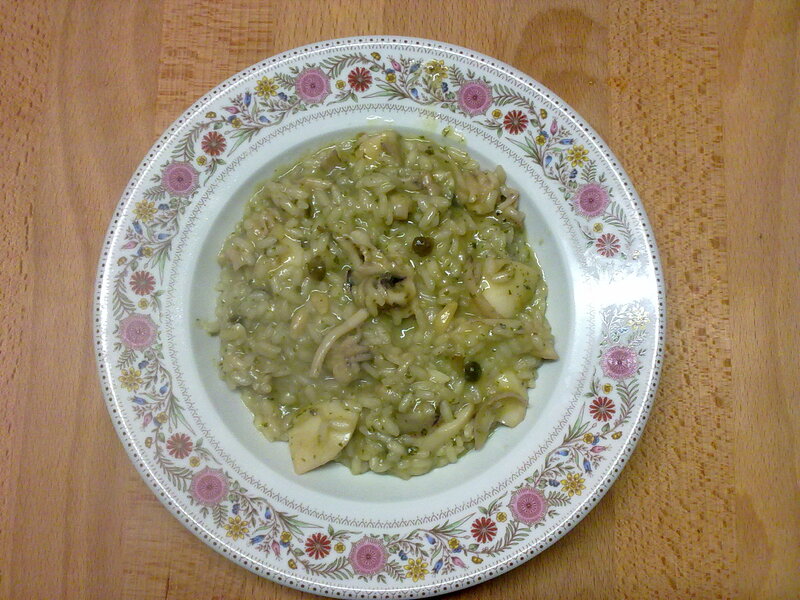 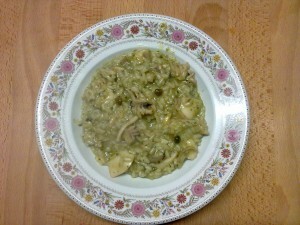 Since the time you drop the rice, the risotto needs 25-30 minutes to be ready.